ALPLA and BillerudKorsnäs plan to combine their resources, competencies and strengths to support scaling ecoXpac in the commercialization of a fully bio-based and recyclable paper bottle. April 4, 2019 - BillerudKorsnäs and ALPLA announced that they will form a joint venture in the Danish paper bottle company ecoXpac. Upon completion of the JV, BillerudKorsnäs and ALPLA will own equal parts of ecoXpac. A minority stake will be held by the founder family. BillerudKorsnäs is currently the majority owner and has been a shareholder in the company since 2015. BillerudKorsnäs noted that it has been involved with the ongoing development of a paper bottle, which was started by ecoXpac in 2010 and with Carlsberg Group since 2015. 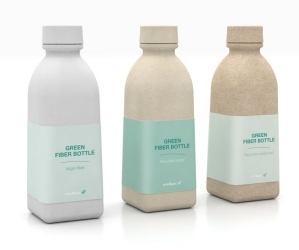 According to BillerudKorsnäs, in late 2016, Carlsberg Group created a prototype of a paper bottle — the Green Fiber Bottle — which has been in a testing phase. The JV's plan is to continue development of the product, then launch and scale up production. Future generations of the paper bottle will be both fully bio-based and have biodegradable barriers, BillerudKorsnäs added. The formation of the joint venture is subject to customary regulatory approvals, such as merger control clearances. The JV is expected to be finalized in the third quarter of 2019. ALPLA is one of the leading companies involved in plastic packaging. The company produces custom-made packaging systems, bottles, closures and moulded parts at 178 sites across 46 countries. EcoXpac is an innovative Danish company that specializes in designing, developing and implementing process solutions for moulded fibre bottles. BillerudKorsnäs provides packaging materials and solutions that challenge conventional packaging for a sustainable future. The company has 8 production units in Sweden, Finland and the UK. To learn more, please visit: www.billerudkorsnas.com.